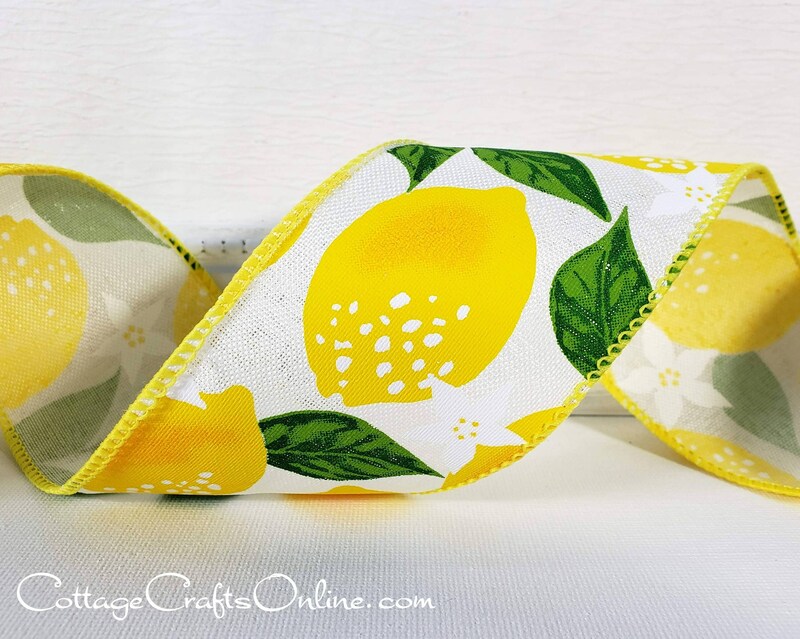 Sun kissed yellow lemons with green leaves on white faux linen, 1 1/2" wide, with a wired edge covered in yellow thread. The last three pictures show it with other ribbons we offer. Beautiful Ribbon! Shipped very quickly! Would order from this shop again!